LaVonne Kramer of Westport introduced a new volunteer assignment to Norwalk Hospital called "Flowers for Patients," which has blossomed into a concerted community effort. 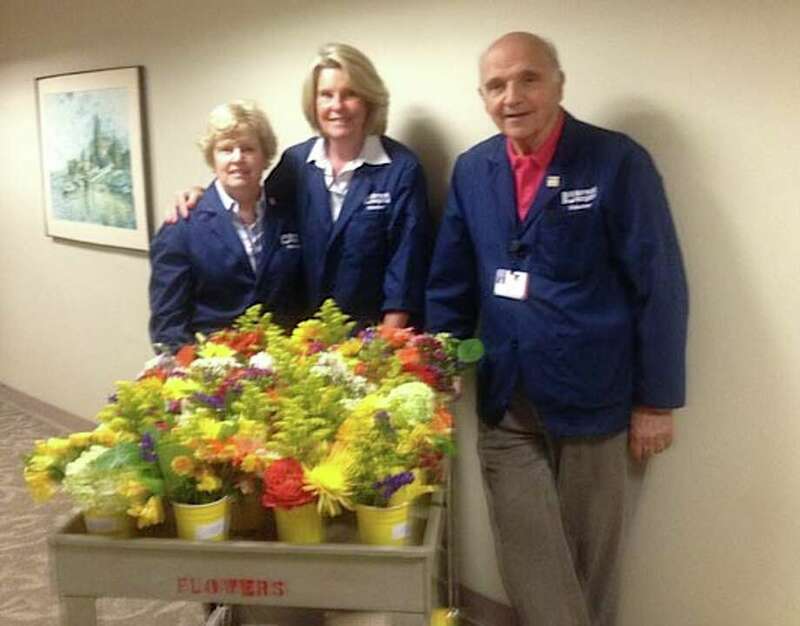 Kramer, a hospital volunteer for nearly six years, has a friend in North Carolina involved in a similar program in which florists donate flowers that they have not used and would otherwise discard, to volunteers who make floral arrangements for patients. "I thought this would be a wonderful program for the patients at Norwalk Hospital, and particularly, for those who may not otherwise receive flowers while in the hospital," said Kramer. Her next step was to find out if area florists would want to participate in this flower-recycling project. "Their support has been tremendous, beginning with Geiger's Garden Center in Westport, the first florist to join this effort," she said. The other local florists participating in the project are Trader Joe's in Westport and Darien, Whole Foods Market in Westport and Darien, Palmer's Market in Darien, Nielsen Florist and Garden Shop in Darien and Balducci's in Westport. "This is such an uplifting experience for the patients and would not be possible without the commitment of the area florists. The flowers bring an amazing amount of joy to patients. They love them, as do the staff," said Kramer. She added, "It is gratifying to see the smiles on the faces of patients when we enter the rooms with the floral arrangements. That's when it all comes together and makes this a worthwhile project." Kramer was the sole volunteer participating in the program and spent three to four days a week picking up the flowers and delivering them to the patients. As other volunteers observed, the interest in joining this effort grew. "We now have seven volunteers helping with this meaningful project," said Ron Lampel of Norwalk, who has added the assignment to his many other volunteer responsibilities at Norwalk Hospital, including roles as president of the volunteer board and chairman of the book sales.